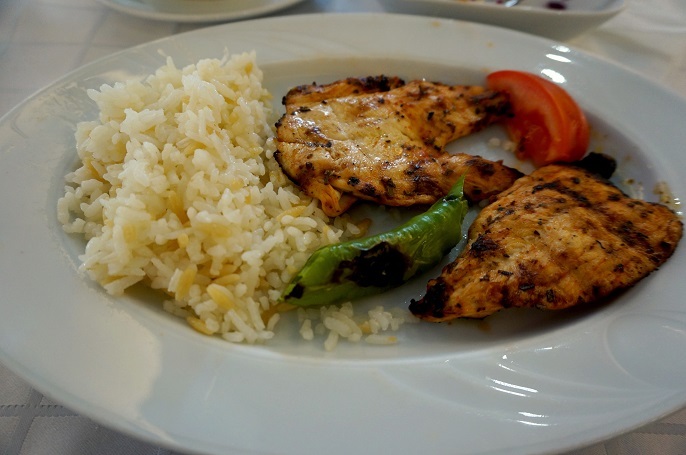 Before I finish my Turkey travel posts with the last destination in Istanbul, I would like to share the Turkey foods and drinks that I had during my travel times. 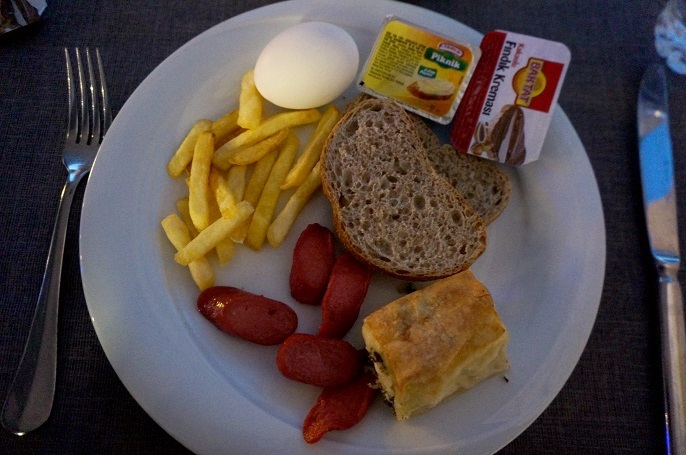 Many people asked me how's my trip after I came back; my first reaction is "Turkey is a beautiful country", and the second reaction is "But the foods in Turkey are not good". 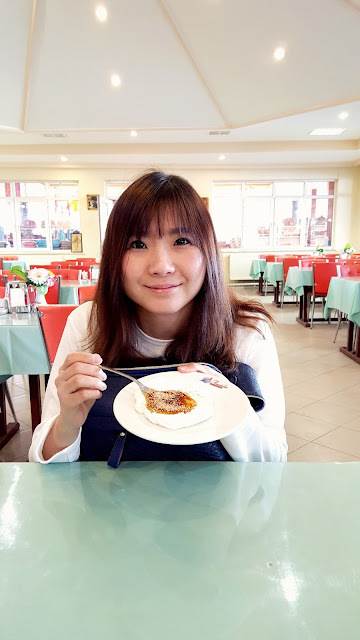 I am not sure if the foods do not suit my tastes or it's because we didn't go for good restaurants but only have the food provided by the tour company. 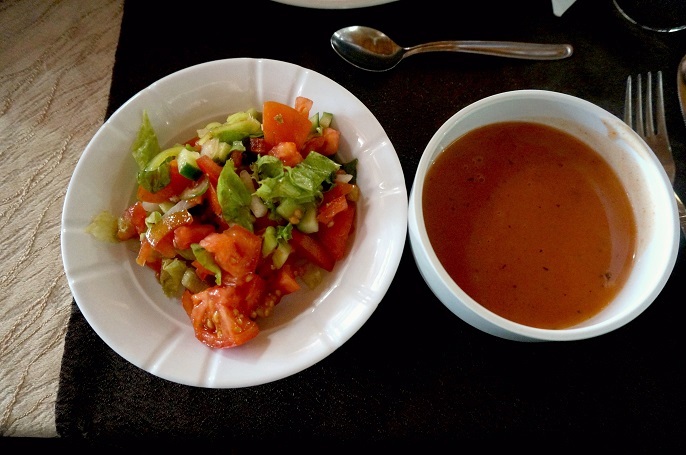 Well, anyways, this post is just based on my own preferences with the eating experience in Turkey. Let's start up with the drinks! 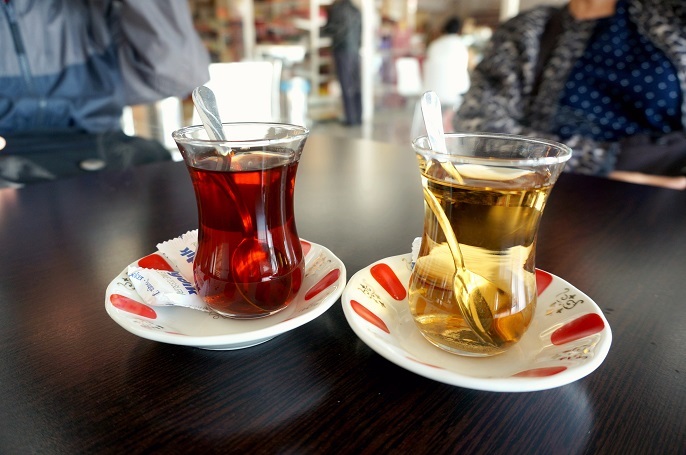 Turkey tea, called "Cay" by the local which is an important drink in Turkish culture. It's a black tea which consumed without milk, yet you can add sugar if you want to but no milk. 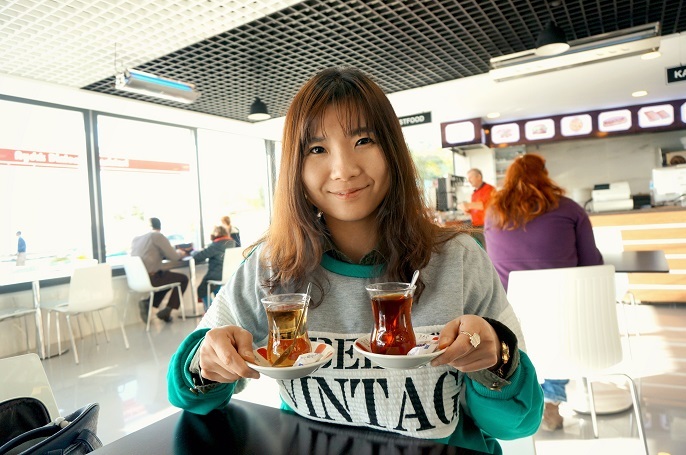 Turkish has the same Chinese cultural whereby tea will be offered as a sign of hospitality before or after any meals. 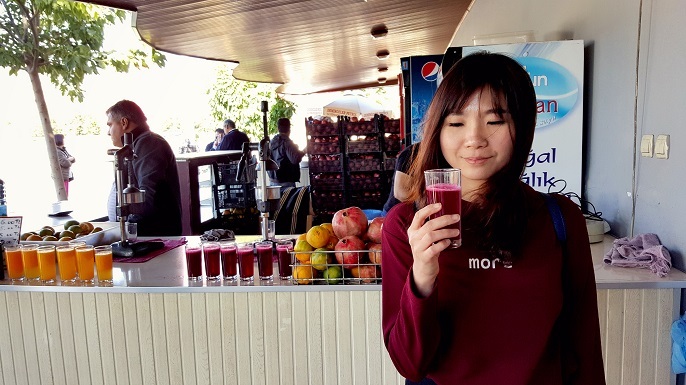 Pomegranate Tea and Apple Tea are the most popular teas for the tourists since they aren't easy to find it anywhere else. I actually bought a few packs back home and now I have it everyday during breakfast time. 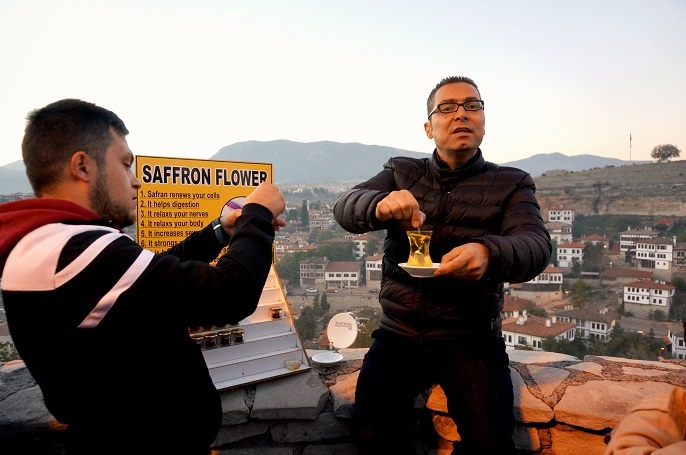 Another tea that you can try is the Safran Flower Tea which only available at Sabranbolu. Read my Safranbolu post at here to find out how beautiful the Hidirlik Hill while having a cup of Safran Flower Tea. Pomegranate is one of the famous fruit in Turkey, therefore you will get to see Pomegranate juices everywhere; no matter in the restaurants or at the cafe stops off the highway. 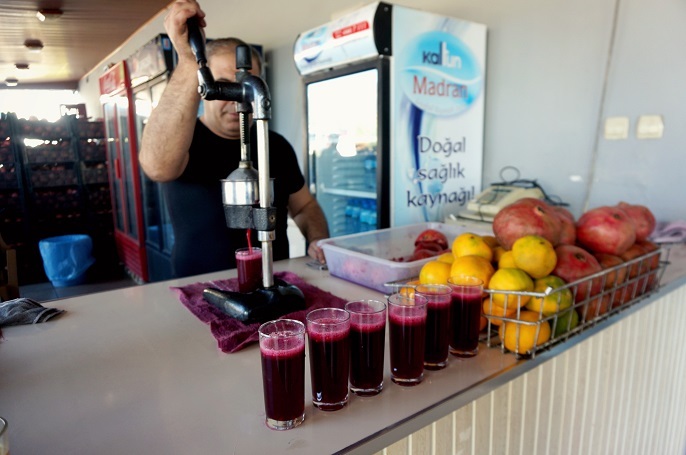 A glass of fresh Pomegranate juice costs about 10-15 Turkish Lira which is about RM14.50 - RM21.50. 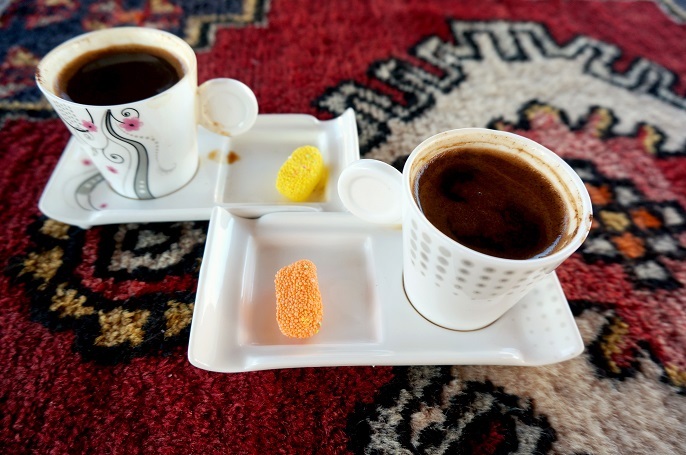 Turkish coffee is another famous try when you visit in Turkey. 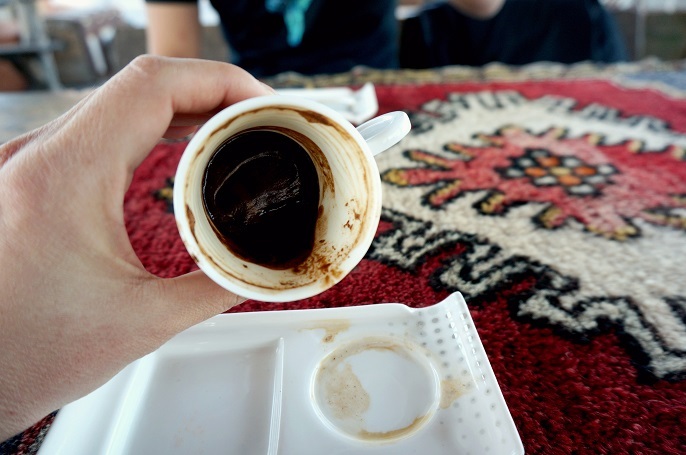 I had my first cup, also the only cup when I was in Cappadocia together with my new friend, Jian. 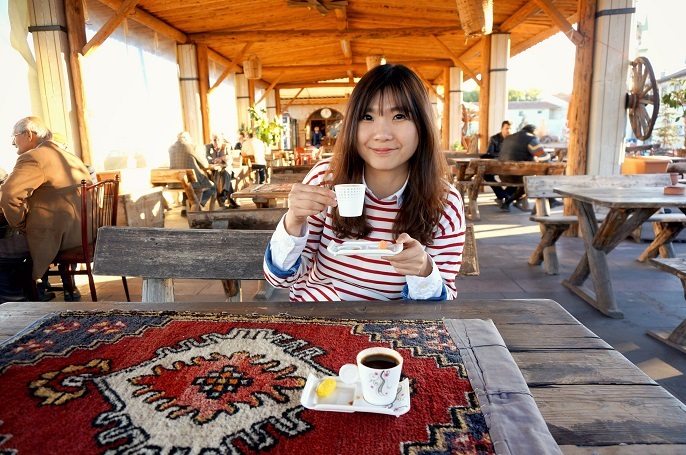 If you missed out the beautiful post of Cappadocia, you can click it here. Not only for myself, but Jian also thinks the coffee is not good. The coffee taste is very strong, very rich in flavour, and very bitter. Look how thick the coffee grounds! The coffee grounds can be seen after you finish it as it sticks so well at the bottom of the cup. 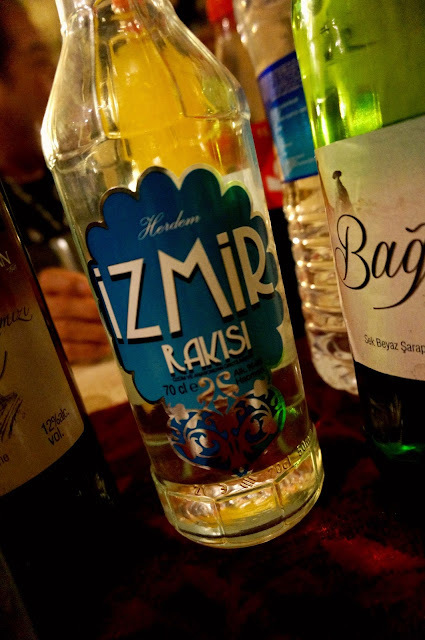 I have been hearing Raki since the first day from our tour guide, which is one of the popular alcoholic drink in Turkey. It's not easy to find at the convenient stores and glad that I had a try at the Turkish Night Show. The taste almost like the Chinese White Wine such as MaoTai or Baijiu; very strong "fire-water" taste. For beer drinkers! Turkey has their own local beers too! 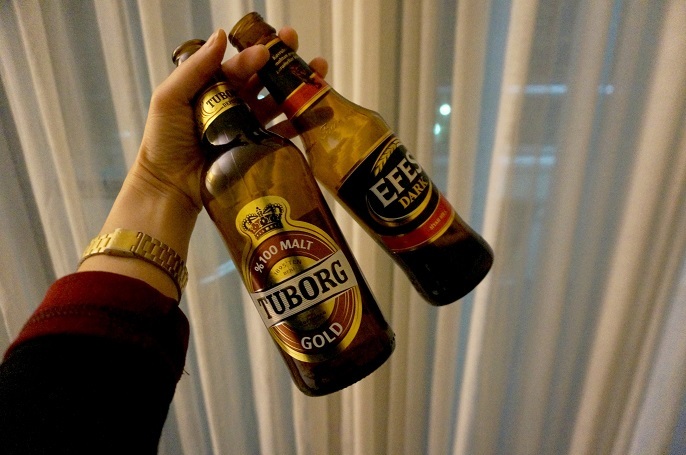 I got the Tuborg Gold and Efes Dark which contains 5.8% and 6.5% of alcohol respectively. 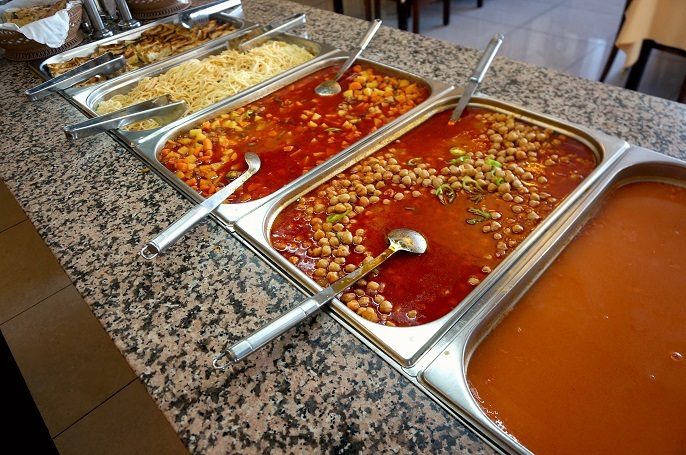 Most of the time, meals were served in buffet style in the restaurants or inside the hotels. There are many selections in terms of the vegetables, meats, rices, noodles etc, however most of them cannot add into my favourite list. 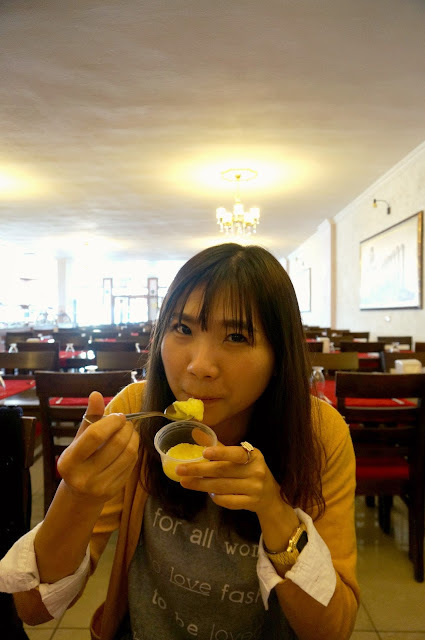 I find the food tasted either too salty and oily or sometimes a bit tasteless. Arghhhh! Me and my parents missed Chicken Rice, Curry Mee, Bak Kut Teh, Char Kuey Teow and a lot more Malaysian foods during the 10 days over there. 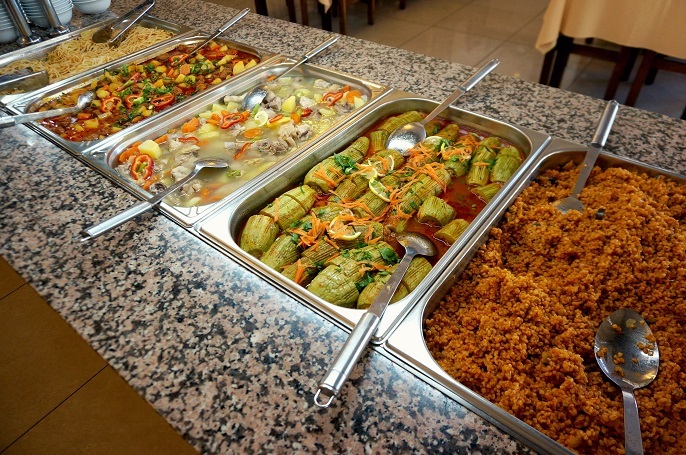 Usually when it comes to buffet meals, I will go for at least 4 rounds. But, I only make 1 round for the Turkish buffets. 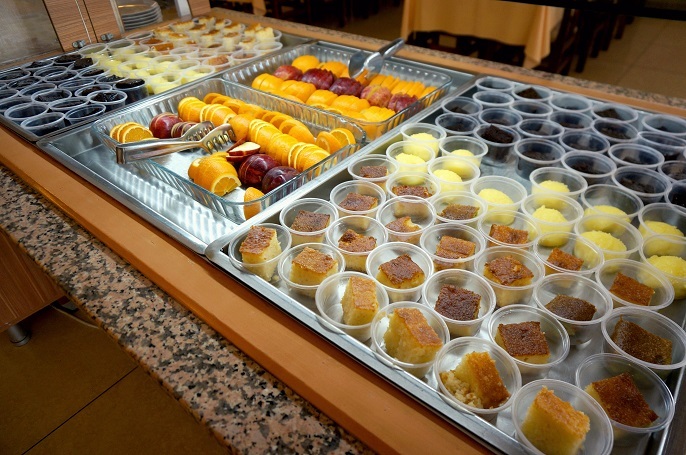 For everyday breakfast, we take the buffet breakfast at the hotels. 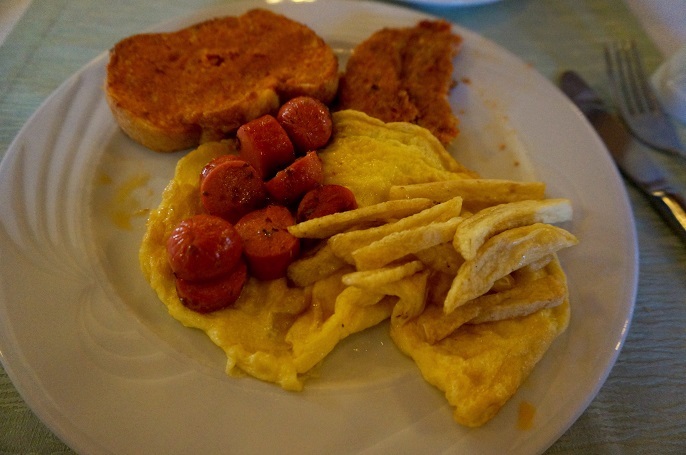 I thought Scramble Eggs and Omelettes are very common to offer at the hotels, unfortunately it's not happened in Turkey. We total stayed at 7 hotels while travelling yet only 2 hotels offer fried eggs at the grilled bar. 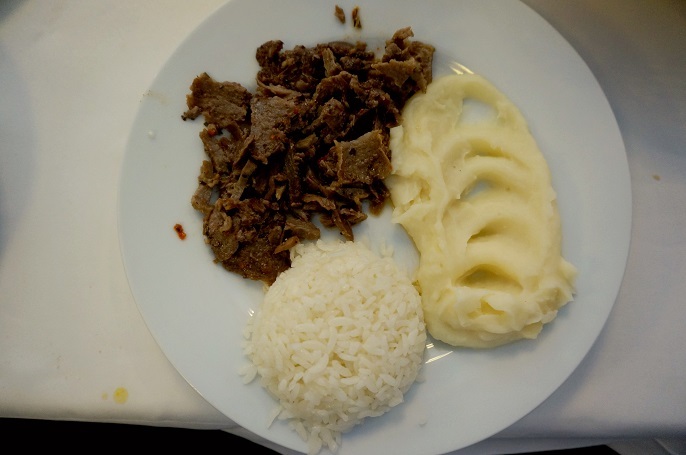 Turkish has very good beef recipe because I enjoyed their beef texture a lot. This is one of my favourite, grilled beef with it's tenderness meat quality. 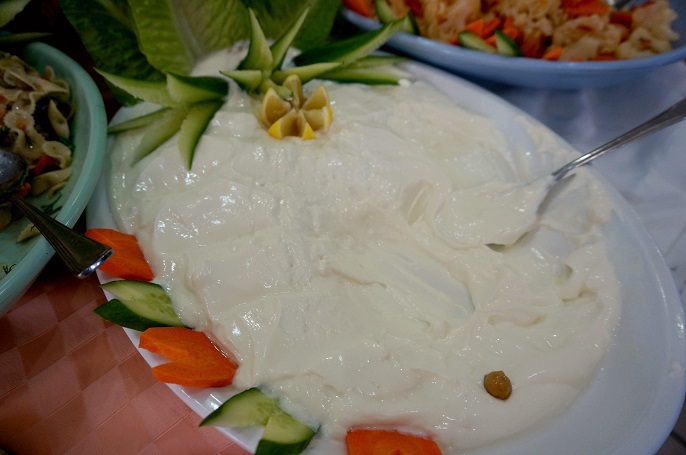 If you see this kind of Yogurt Sauce, TRY it! I remember my first tried of this sauce was through a friend from Kashmir. He makes very good Yogurt Sauce as well as the beef. 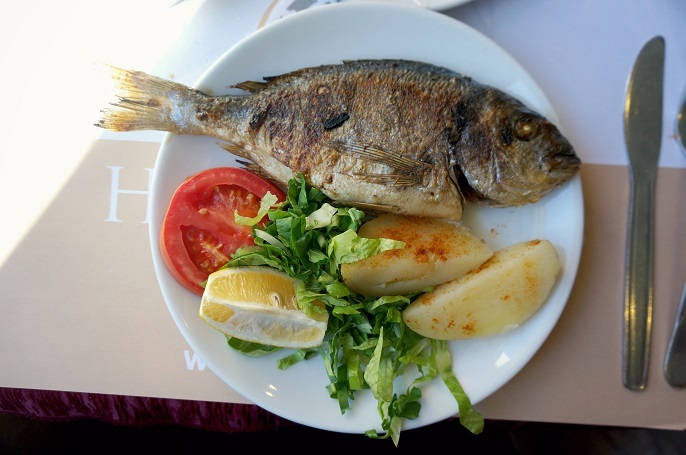 If you enjoy fresh fish, you will not be disappointed in Turkey as Turkey is surrounded by seas from three sides which is rich in fishes. Levrek (top) named as Sea Bass and Cupra (bottom) named as Sea Bream in English. 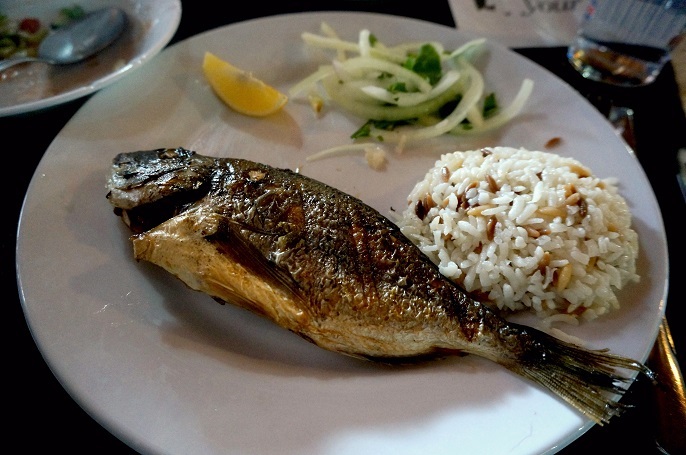 Both fishes are the popular fishes in Turkey all year around. 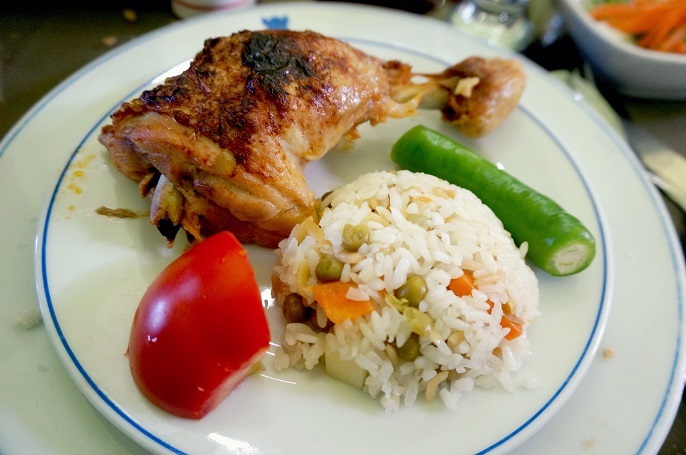 Grilled Chicken Rice tastes almost like our chicken rice in Malaysia which considered a good meal in Turkey if compare to those buffet meals. 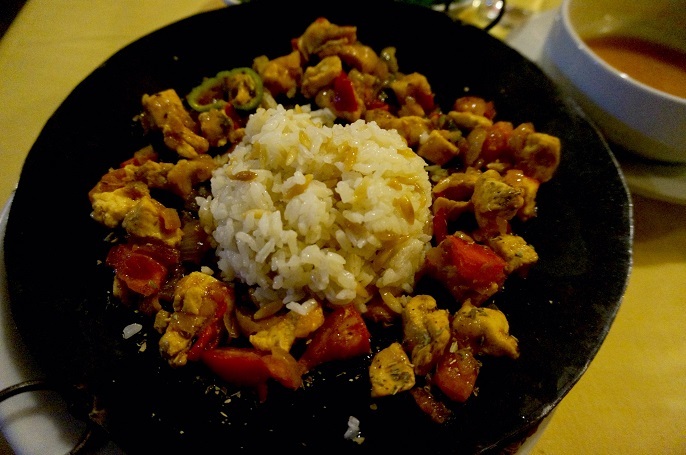 I named it as Rice Chicken Roasting which we had it at Kadioglu Restaurant in Safranbolu. From it's presentation, you shall already know it tastes so much better than the buffet menu although it looks oily. 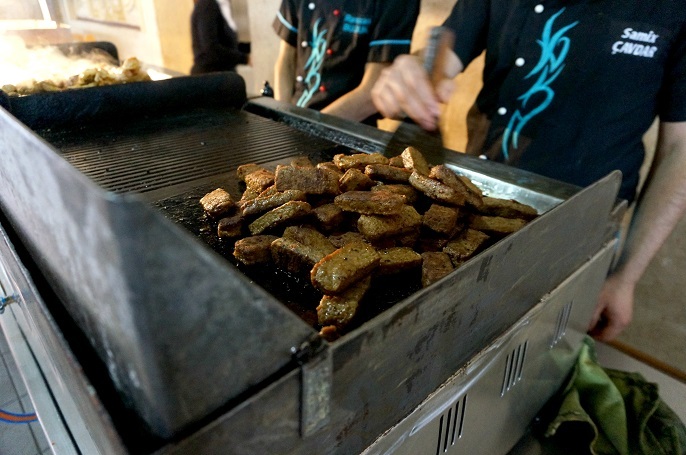 One of the highlight food in Turkey is their Meat Kebab. 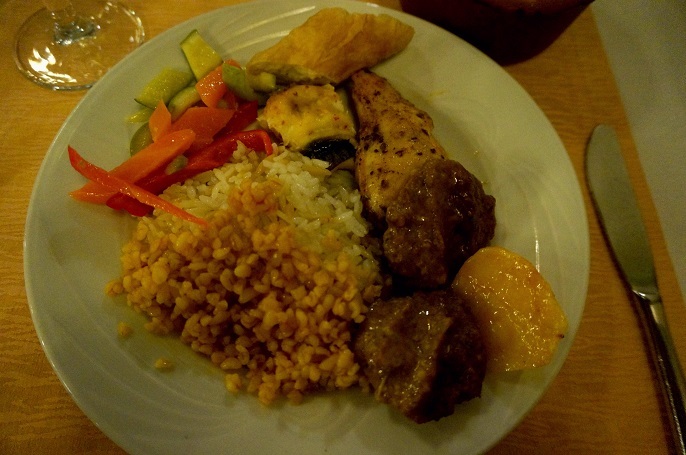 When we arrived at Istanbul, we had our first Meat Kebab at Adanali Hasan Kolcuoglu Restaurant. We were given the choice between beef and chicken. My dad had the Chicken Kebab as he doesn't take beef. And for myself, I took Beef Kebab as it was recommended by our tour guide. 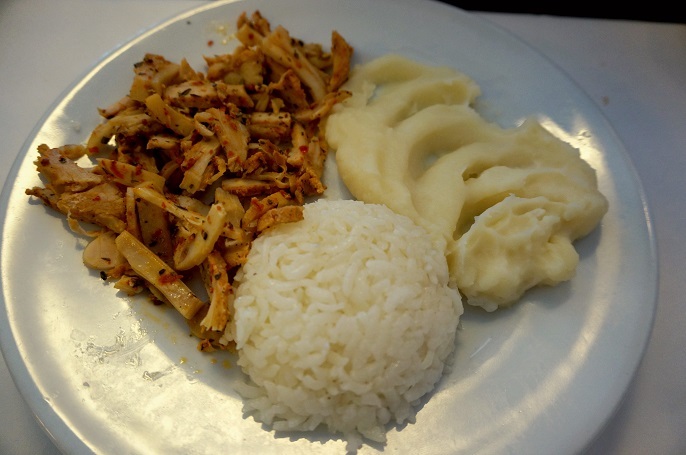 This is another type of Kebab in Turkey which is the cubed type. 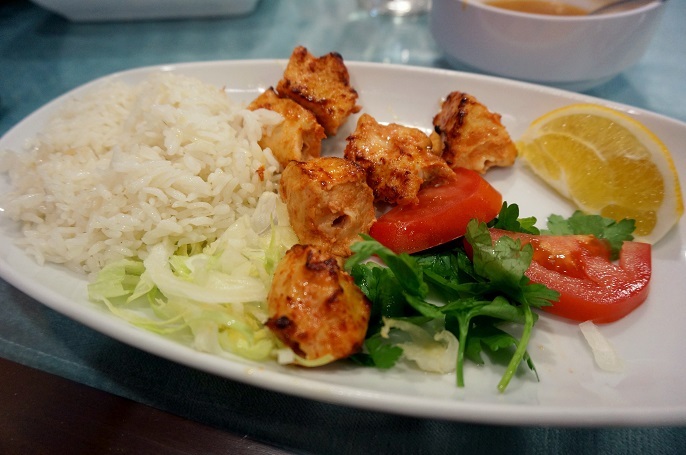 This is the marinated Chicken Cube Kebab that I had in Istanbul. Well, no doubt that Turkey has very good Kebab meals! All set meals usually come with soups and salads. 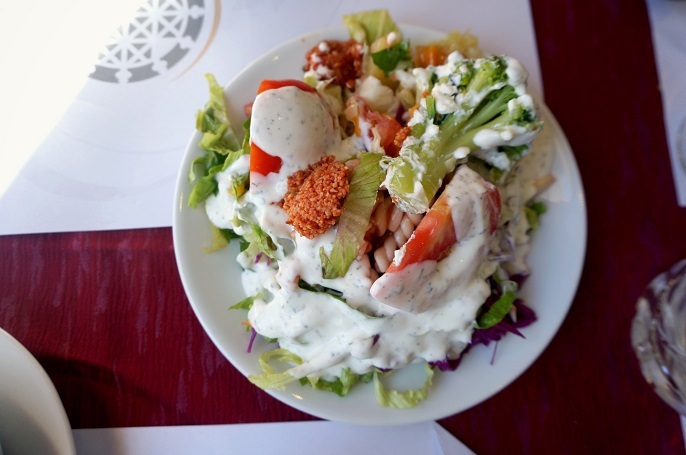 I usually will try to eat as much as vegetables and fruits while travelling; one thing is to keep you fresh and healthy, another thing is to make sure your digestive health. 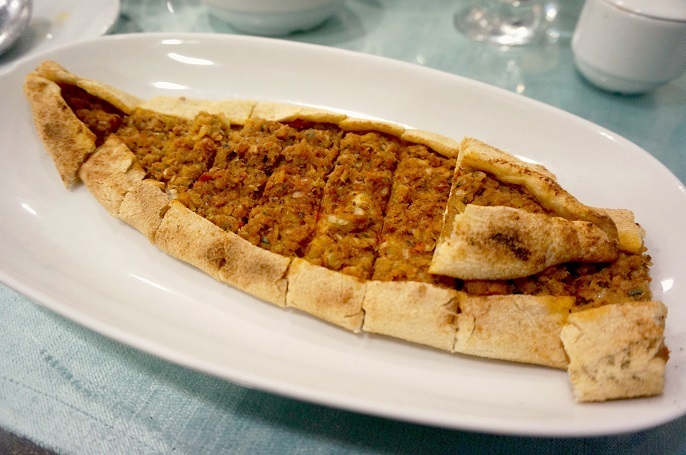 Lahmacun, is a kind of "Turkish Pizza"with ground meat and vegetables spread on a thin crust bread. As I said, the have very good beef dishes. 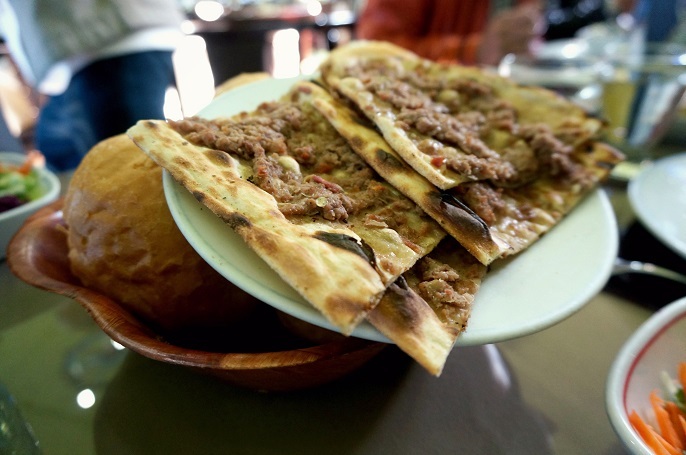 I like this Beef Turkish Pizza because it has a very thin and crunchy skin with the rich beef filling on top. 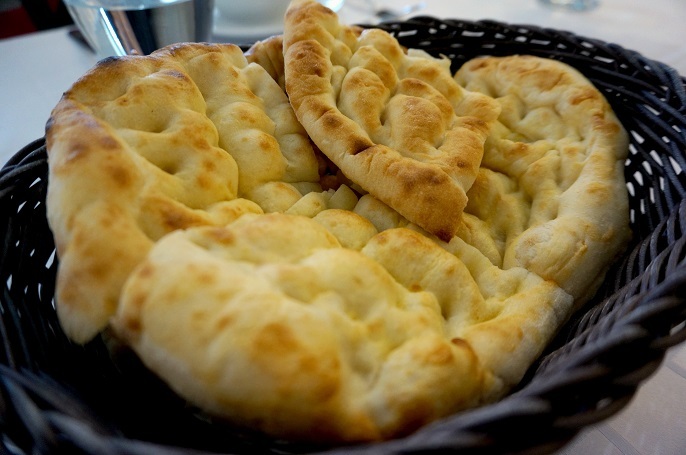 One of my favourite Pita Bread over there. 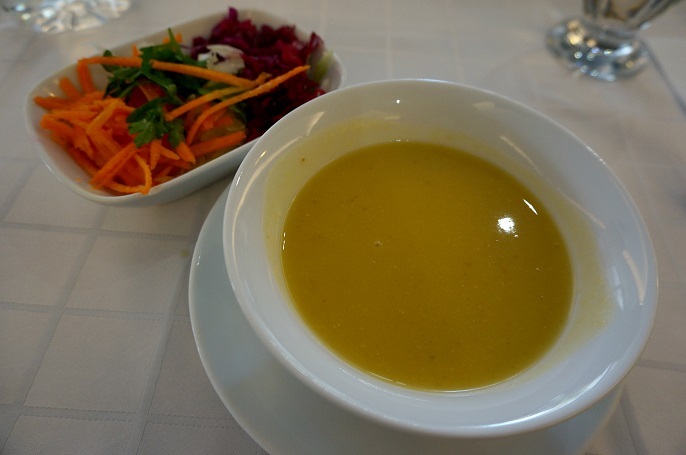 It's good to eat when you dip it with any soups they served. 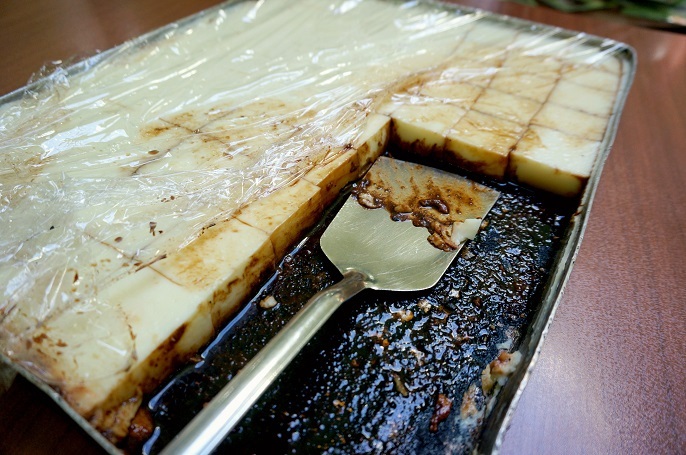 Most of the Turkish desserts except their Ice-Cream, are very super sweet. They are really too over my sugar allowances! 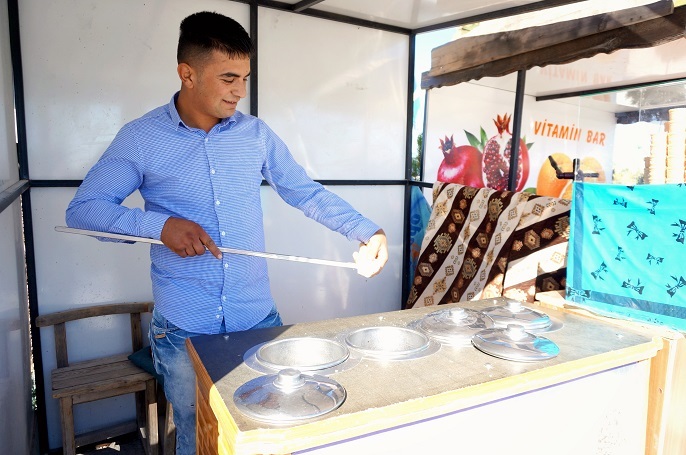 Turkish Yogurt with Honey and Poppy Seed was recommended by the local people. It has a very thick yogurt and spread the honey and poppy seeds on top. I enjoyed it as I said I kinda like their homemade yogurt taste. 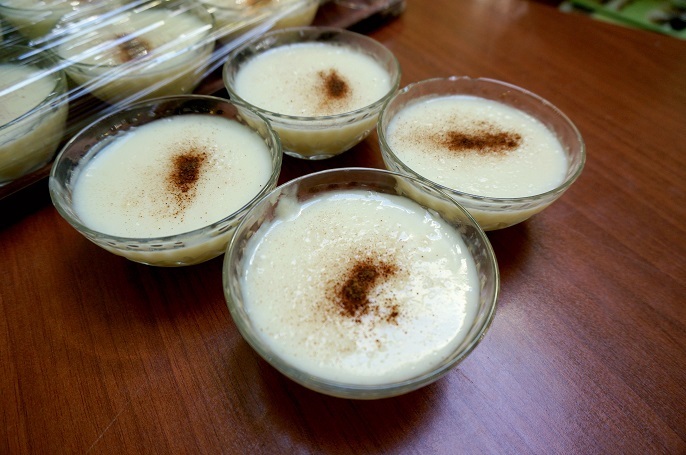 Boza or Bosa, a kind of traditional Turkish dessert. It's recommended by our tour guide. It looks pretty good from it's appearance, yet when I bite it, I felt like eating sugar more than dessert. 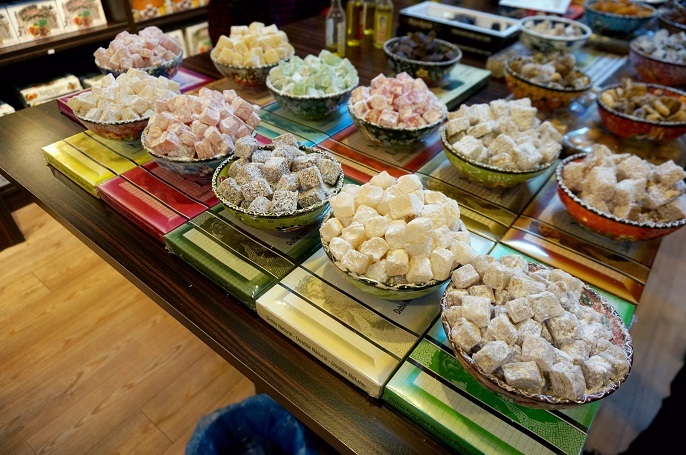 Sorry to say NO to the desserts in Turkey! Me and my parents didn't bring back any local delights from Turkey because all of them are also sweet like mad. 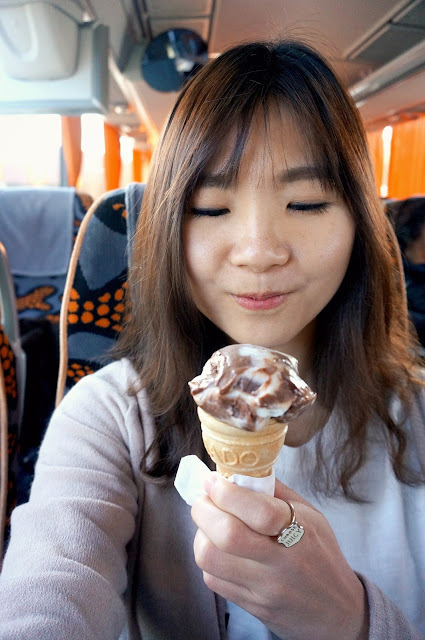 Before my trip, my friend told me that Turkish Ice-Cream is a MUST try there. 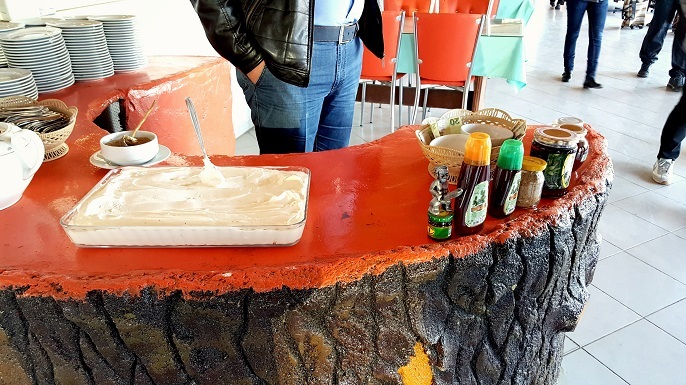 Turkish Ice-Cream is named as Dondurma locally. There are many flavour selections to satisfy your cravings. 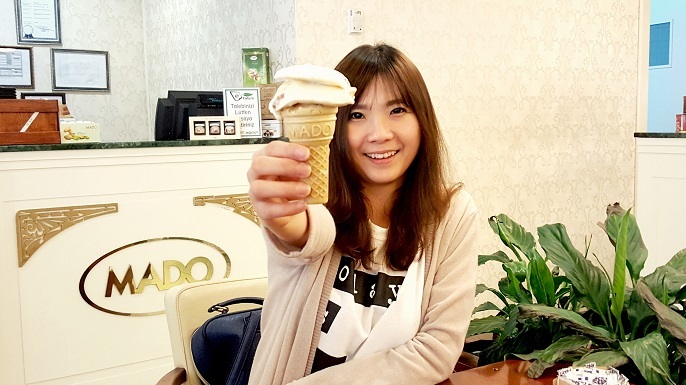 All flavors of their ice-creams are strong and delicious. 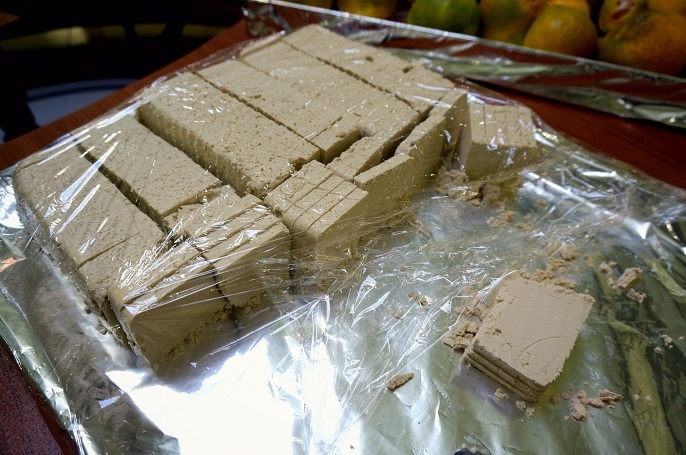 The texture is very chewy, thick, and has a kind of elastic feeling. Good or bad, it's all about my travel experience throughout the trip. 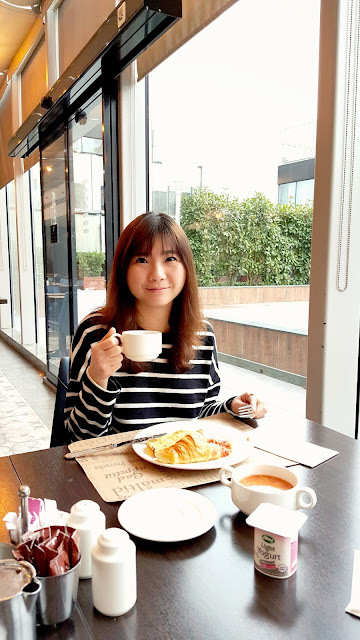 I hope you will have some food expectation and information from this post, and the most important thing is you enjoy reading it. I will see you again soon on the next post which will cover the final destination, Istanbul in Turkey!